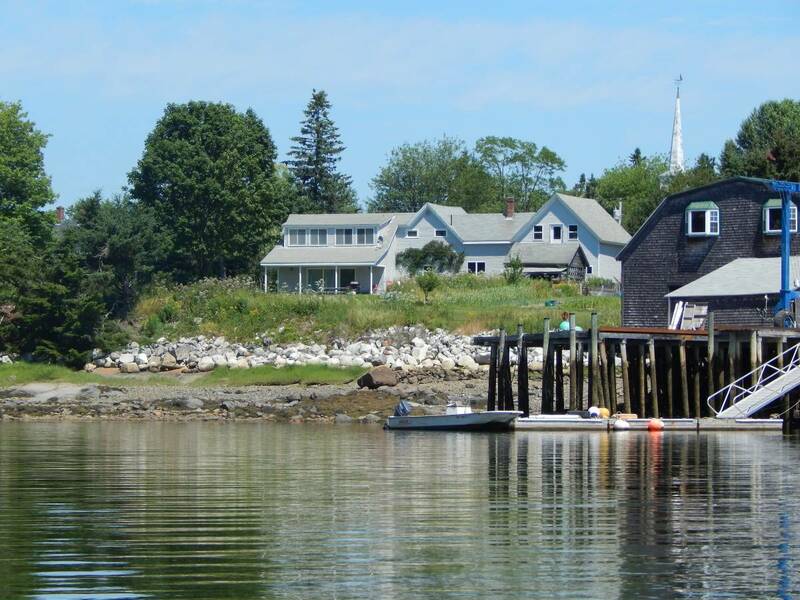 PROPERTY NUMBER: HC6-N2 "Tide Watch"
DESCRIPTION: Located in the center of East Blue Hill, Tide Watch provides water access and scenic views! 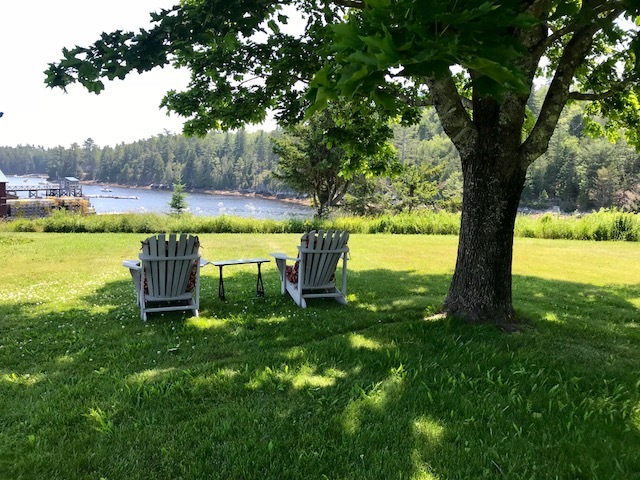 Sliding glass doors opens to the patio where you can overlook McHeard Cove and can enjoy the private back yard on those warm summer evenings. Forgot a book? The Library is within walking distance. The play ground and boat ramp are just past the Post Office, where they have picnic tables overlooking the boats and water. If you have a boat and would like to bring it along, the boat ramp is close by and has easy access. This is also a great area to to kayak or canoe. If you don't have one you can rent locally. Curtis Cove is just a short walk where you will find great rocks and sandy beaches. You may even see wildlife such as deer, foxes, racoons, skunks and lots of birds during your stay! LAYOUT: FIRST LEVEL: Entry into Kitchen off of the Sun Porch, Laundry, Dining room, Living room and half bath.